Portugal were denied a tenth consecutive competitive home win, but they will head to the Finals as the only unbeaten side in League A. André Silva glanced in a Renato Sanches corner to give them a first-half lead, yet they were pegged back when relegated Poland rallied after the break. Jerzy Brzęczek's men were rewarded when Danilo was dismissed for bringing down Arkadiusz Milik, the Napoli forward then firing home from the penalty spot. Sweden secured the win they needed to pip their visitors to promotion on head-to-head record. They took the lead late in the first half when a corner was headed back to Victor Lindelöf, who finished from near the penalty spot. Marcus Berg then made it two with 18 minutes remaining, pouncing when Andrei Lunev could only parry a Sebastian Larsson shot. A James Forrest hat-trick secured Scotland the win they required for promotion at Hampden Park. Israel, who would have topped the section with a draw, struck first when Beram Kayal fired past Allan McGregor from distance, but a pair of smart finishes from Forrest gave Alex McLeish's side a half-time lead. The Celtic forward completed his hat-trick in the 64th minute, and although Eran Zahavi pulled one back shortly afterwards, the hosts withstood late pressure to clinch promotion. Serbia sealed a spot in League B but Mladen Krstajić's side had to work for their points in Belgrade against relegated Lithuania. An Artūras Žulpa own goal soon after half-time settled home nerves, with Aleksandar Mitrović's 12th strike in as many international outings quickly doubling the advantage. Deimantas Petravičius briefly halved the deficit, but goals from substitute Aleksandar Prijović and Adem Ljajić made for a misleadingly one-sided scoreline. Romania will end the calendar year unbeaten but missed out on promotion after a narrow win proved insufficient to usurp Serbia. The visitors needed to prevail and hope for Serbia to slip up, and they just about kept their end of the bargain thanks to George Ţucudean's goal just before the break, followed by Ciprian Tătăruşanu's penalty save from Marko Janković. 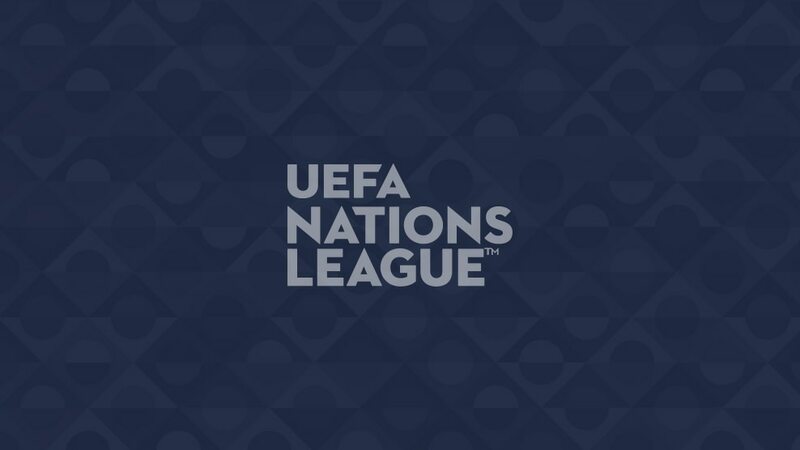 There was relief for Montenegro, as the one-goal defeat meant they survived relegation as the worst-ranked third-placed team in League C, Cyprus going down instead. Kosovo only needed a point to hold off Azerbaijan for promotion, but they went up in style courtesy of Arber Zeneli's hat-trick – ensuring they will also take part in at least the play-offs of their debut UEFA EURO. Zeneli scored early in each half and Amir Rrahmani headed in the third before the Heerenveen midfielder's hat-trick was completed with a similar cut-back and curling shot to his first goal. The visitors took the lead in the third minute when René Joensen headed in Gilli Rólantsson's cross, but it was swiftly cancelled out when Malta struck back within seconds through Juan Corbolan. Despite that blow, the Faroe Islands secured the draw they needed to stay third ahead of their hosts.